Global developer, Poly (Australia) Real Estate Development has bolstered its project expansion plans with another development acquisition in Sydney’s west. The 30,610sqm vacant site, located at 229 Victoria Street in Werrington, was purchased from the City of Penrith. Subject to DA approval, Poly plans to use this opportunity to diversify its existing product offering from high rise apartment towers, to land, or house and land packages. Bordered by Victoria, Cottage and William Streets, the triangular shaped block will accommodate 68 generously sized lots ranging in size from 300sqm to 699sqm. Within a few seconds walk, immediately to the north of the site is a childcare centre and pre-school, as well as over 15 hectares of parkland, sporting grounds and parkland reserves. Poly’s Managing Director Arthur Wang said Poly acquired the site at Werrington as they saw tremendous opportunity from buyers looking to purchase a block of land, as opposed to an apartment, and build their dream home. “Land is becoming a rarity, particularly in Sydney’s south-west, and is therefore becoming increasing sought after. The information we are receiving is that even savvy foreign investors are seeing land supported by strong infrastructure, employment centres, transport and amenity is becoming a more compelling investment proposition than an apartment,” Mr Wang said. “Surrounded by major universities such as the University of Western Sydney, schools and hospitals, Poly’s Werrington site ticks all of these boxes. 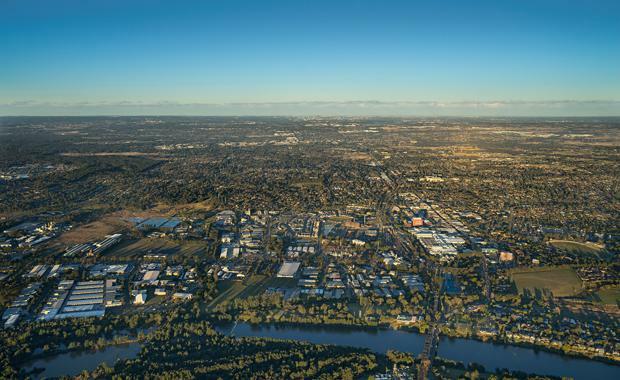 The site sits within the Greater Western Sydney Region and is approximately 48 kilometres west of Sydney CBD, 30 kilometres west of Parramatta CBD and 6.1 kilometres east of Penrith town centre. Ray White Projects has been appointed as the sales agents for the project and expect to launch sales in the third quarter of 2016. Poly is the Australian division of the international property development company, Poly Real Estate Group Limited. Founded in 1992 the parent company also operates in the UK, the US and China and has a total asset value of AU$120 billion.